We consider weighted Sobolev spaces correlated with a sequence of n-dimensional domains. 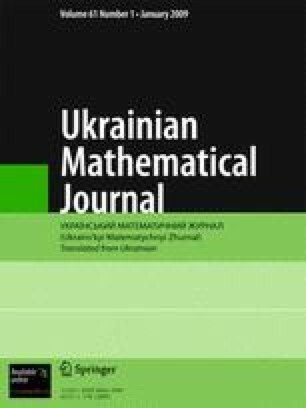 We prove a theorem on the choice of a subsequence Γ-convergent to an integral functional defined on a “limit” weighted Sobolev space from a sequence of integral functionals defined on the spaces indicated. Translated from Ukrains’kyi Matematychnyi Zhurnal, Vol. 61, No. 1, pp. 99–115, January, 2009.